This past weekend the humidity was terrible! Humidity and allergies keep us indoors for quite a bit. Perfect time for a easy project for Isa. 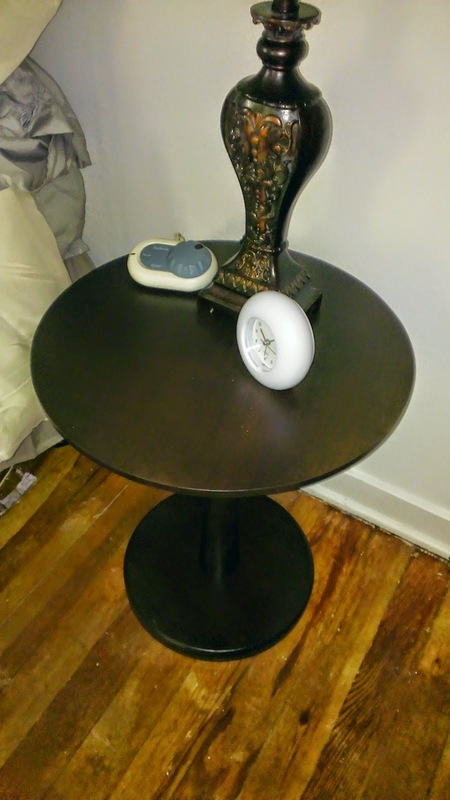 A few months ago while shopping at WalMart I found a perfect sized clock for less than $3.00. I could not pass it up. I knew I did not like the totally white design. But I also knew that I would think of someway to make the clock unique. This weekend Isa turned the plain white clock into a unique addition to the spare bedroom. 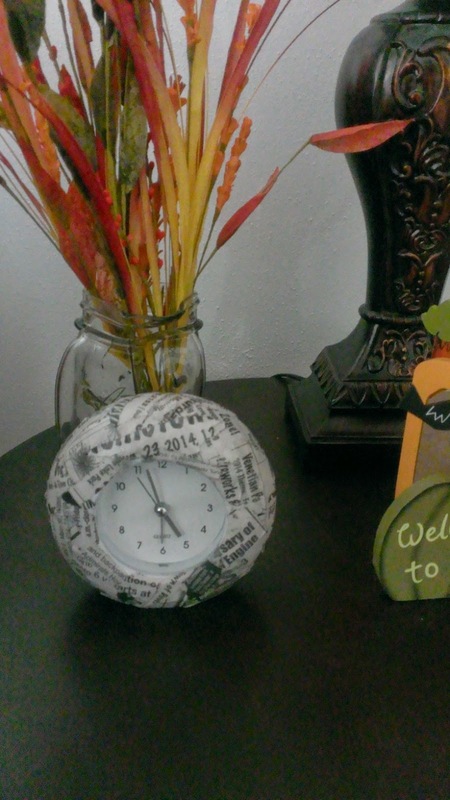 Super easy using Mod Podge and the local free newspaper. 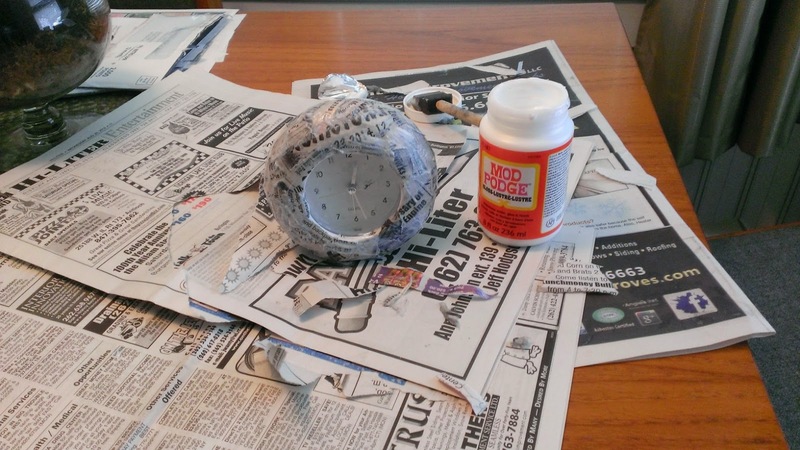 Rip the newspaper and Mod Podge it on the item using the sponge brush. Easy to do and you can really make some unique items. Thanks Isa for turning a very plain clock into a unique addition to the spare bedroom. What a fun and easy craft to do - it really looks cool! I love rainy day projects! That is such a cool projest. Looks like so much fun. What a fun project. 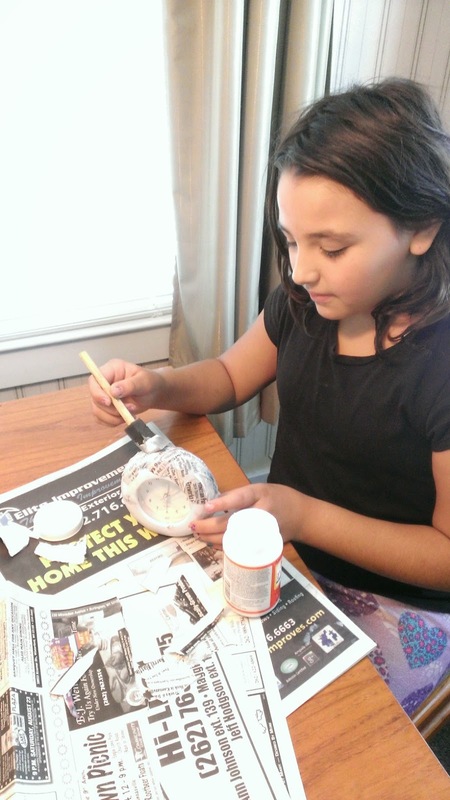 I have never done anything with mod podge before, but it sounds easy enough to use. Super fun. Believe it or not, my mom mod podged maps onto the bathroom walls. THE WHOLE THING. That looks like a great project. My son would love to do this. That is a great idea, it turned out really nice. I am always looking for something to do inside on a hot summer day. That came out really nice. I have heard it said mod podge is amazing to work with, can you believe I've still never used it? I love it!!! I love doing Mod Podge. I have done a table before and it turned out great. Such a cute clock!! I would not have thought to do that. I am so crafty challenged. I have used mod podge before though. So maybe there is some crafty in me yet. That's a really cute clock! I don't use Mod Podge enough. I'll have to keep this in mind! My daughter went through a modge lodge phase in high school! I love the way that clock turned out. What a cool project. It's so simple but so punchy! Love it! You know I should get the Modge Podge out of storage! 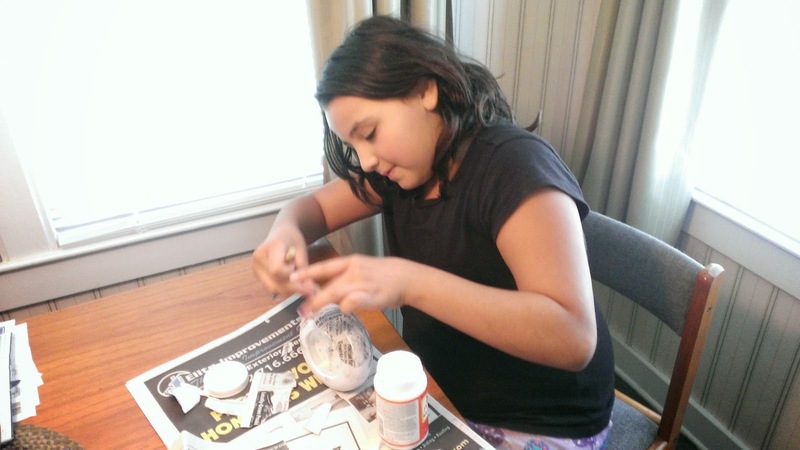 So many fun and easy craft activities that turn out great that my kids can help with. That was really a neat idea. I bet there are a ton of things around the house that I could really spruce up and make our own. Super cool! I just love modge podge- so many crafts. I'm thinking I might make one for my guest room from magazine clip-outs instead of newspaper. This is such a cute idea. It looks like it was really easy to do too! This looks like a really fun project to do with the kids! I would actually do this as an adult as well. Whoa! Did that ever turn out nice? I totally love this idea! What a neat idea. Love that you didn't really need to help her out with this. Must add mod-podge to my list of things to buy this week!! I love to mod podge anything I can! This looks awesome. I haven't done that since I was a kid! I used to love it though and need to introduce my kids to this fun! Ohhhhhh......This just gave me so many ideas!!! Thanks for sharing! This is really fun! What fun for the kids, my girls would love it! Modge podge is so fun - I would have never thought of the fun clock craft!